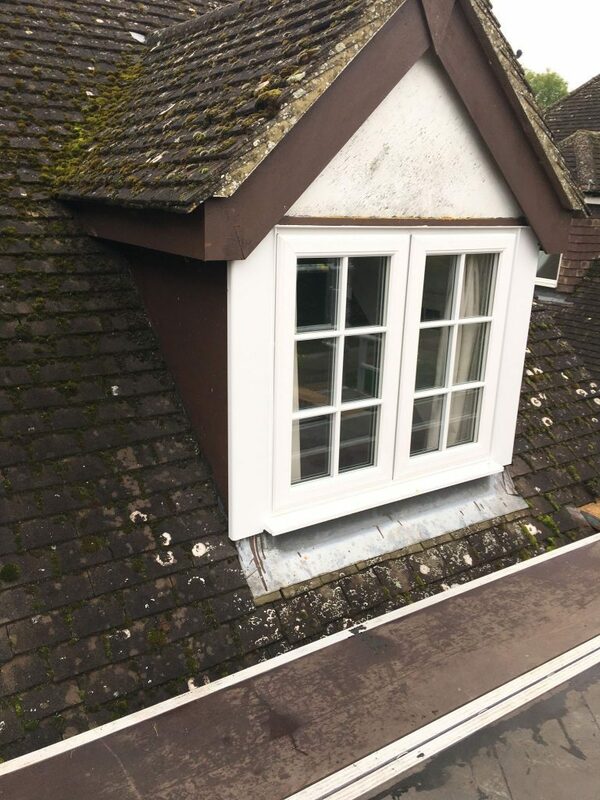 One of our teams recently undertook the challenge of restoring some dormer windows on the first floor of a bungalow for customers located in the village of Edlesborough, near Leighton Buzzard. The old dormer windows were very tired looking and were made using large sheets of ply-wood boarding. This isn’t the most weather-resistant material, and this has started to show with areas of rot in the wood that needed to be stripped and replaced. Initially the dormers were quite dull and dark looking, so the customers decided that they wanted to really maximize the visual impact of the windows upon approach to the property. This in mind, they opted to have a UPVC system, and chose to have white cladding and white fascia. 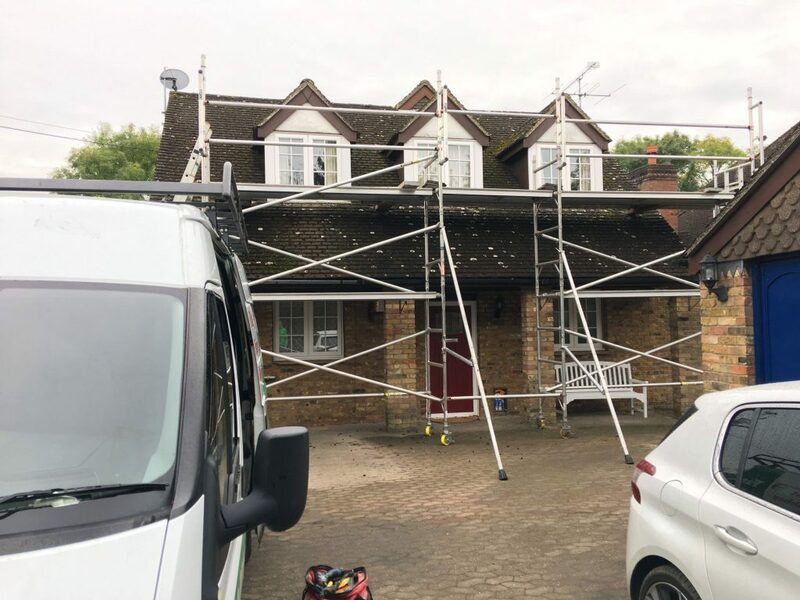 With the windows situated fairly high in the large bungalow roofline, a substantial scaffolding system was needed to enable the team to have full access around each of the five dormer windows, with three on the front side of the house and a further two on the side of the property. With safe access in place the team proceeded to strip all the old rotten wood system out. 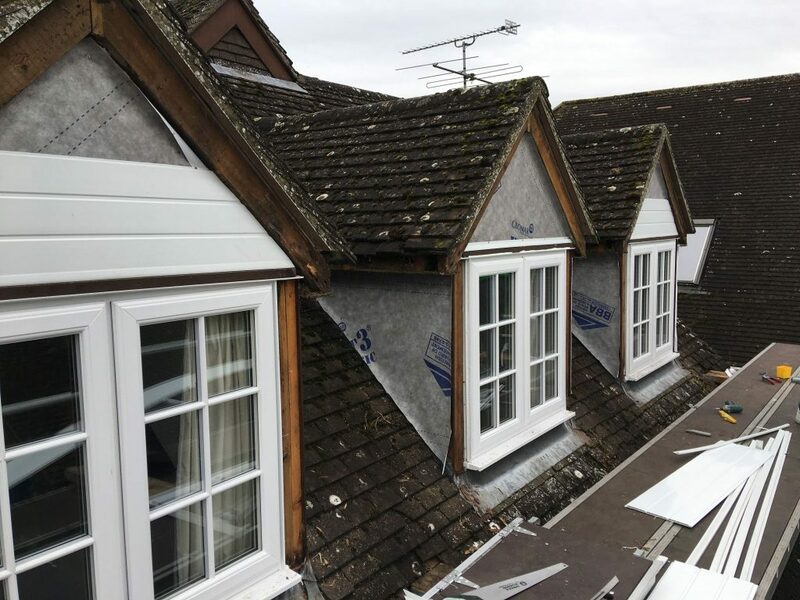 When all removed a weatherproof felt was tacked over the dormer window, before installing the white UPVC fascia and cladding. 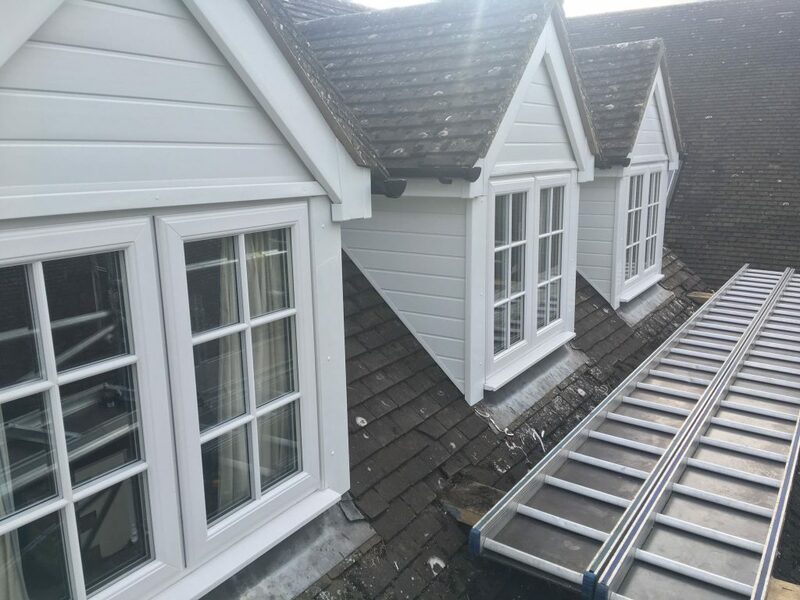 After a discussion with the customer, it was decided that the additional extra of black round guttering would be added to each dormer. This didn’t exist on the original structure, but with water running off the pitch of each dormer, this could have caused splashing which would in turn gather dirt on the new white cladding on the sides of the dormers. 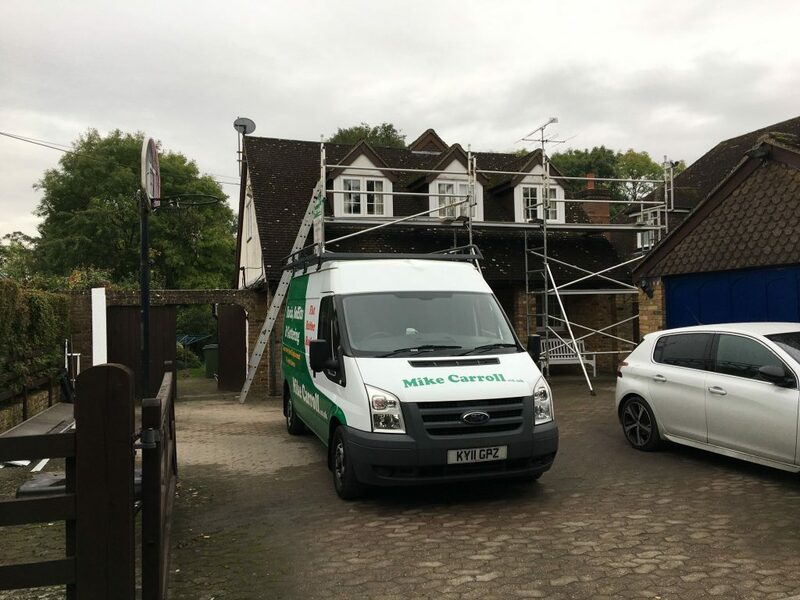 During the job, the roof was also in need of some minor repairs such as replacing broken tiles, and re-bedding of ridge tiles, which the team also carried out. 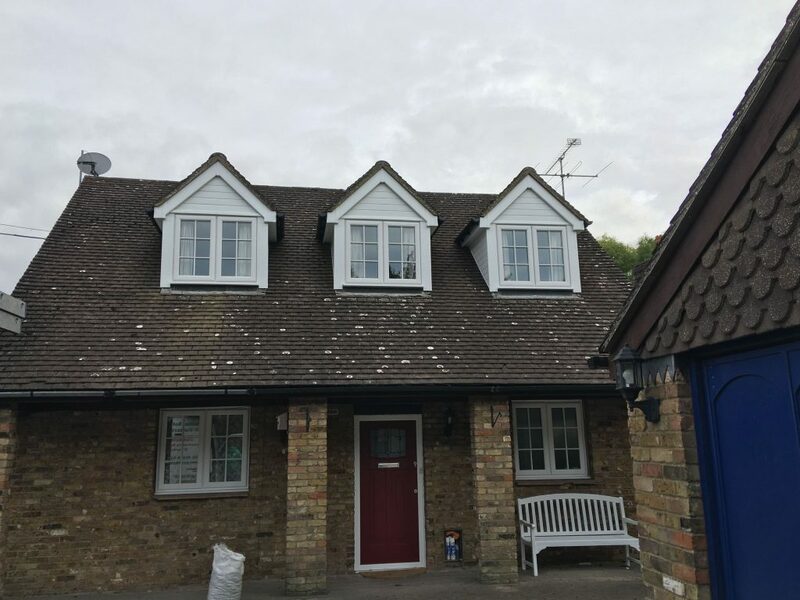 With the customers very pleased with the end product and service, they have already enquired about having their fascia soffits and guttering around the rest of the property and garage replaced in UPVC system to match the dormer windows. We hope to return to Edlesborough in the Spring of 2017 to do this. 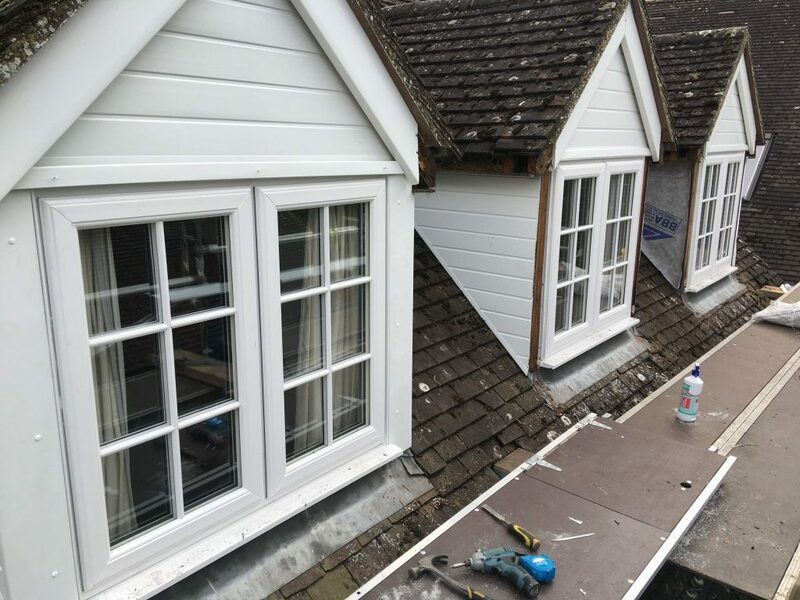 The options on dormers are variable, so please ask for further details if interested.